In a week in which government minster's were circulating reports that the fast developing economic downturn would lead to an "upward pressure on acquisitive crime", property crime, a surge in support for the far right and racist elements as well as an increase in the support for radical Islamic fundamentalist groups from people on the receiving end of racism and unemployment as well as a general outbreak of lawlessness as the country experienced during the 1980's economic depression emanating form within the deprived areas of Britain. One of the goals of the government to try and pre-empt social unrest would be to target resources towards the front line charities that operate within the deprived areas of inner cities in an attempt to alleviate the building explosive pressures that will likely come to a head during mid 2009. In reality, which is typical of this catastrophic labour administration, frontline charities are being literally annihilated at an alarming rate as funding streams are cut and and government quango funding / contracting institutions continue to bypass the front line charities to seek to deliver funding via a less administrative route via third party agencies that act as a buffer between the funding agencies and the frontline charities. However in the face of funding cutbacks and failure to deliver competent administration of contracts the 'middle men' are cutting the purse strings on the charities and laying blame for their own failures onto the front line charities. The Traditional Method of funding was from the government agency to directly contract with front line charities such as those engaged in the delivery of training within the deprived areas of the country. However clearly the traditional model generated a great deal of monitoring demand between the funding agency and the charity where differences in the level of administrative competencies would increase the workload of funding agencies. Therefore the government agencies increasingly pushed charities to apply for funding under a central regime that would in effect act as a buffer between the small charities and the funding agency therefore decreasing the government agencies workload, but by virtue of which would receive less funding as a proportion would now be consumed by the central administrative agency. The expectation would be that the central agency would delivery administrative support to the delivering front line charities. However as time has progressed, the bureaucratic administrative agencies by virtue of their central position of holding the purse strings have increasingly sought to maximize earnings on their side of the balance sheet by attempting to cut back on both the number of charities and the amount delivered due to the high cost and administrative demands nature of servicing charities within the deprived areas of major cities such as Sheffield. The aim has been to make up for the shortfall in delivery of outputs by contracting mainstream training providers from outside of the deprived wards, however the clear failure here is that by doing so the strings that provide hope to many of those within deprived areas are also being cut as these agencies have no track record or ability to operate within highly diverse and difficult non mainstream areas, which was the whole point for the existence of the frontline charities in the first place. Examples of this ongoing trend are littered across the country. For instance in Britain's fifth largest city, Sheffield (where the Market Oracle is based), this can clearly be seen where numerous front line charities are disappearing in a puff of smoke from within the deprived inner city areas as the funding strings are being cut at no notice and in the face of bureaucratic measures deployed to prevent disbursement of withheld funds. A recent case of point that has been much publicised in the local press and radio is that of the SPAT-C training agency that is being squeezed out of existence. SPAT-C has been at the heart of the bringing the youths and young adults from deep within deprived areas of Sheffield out of social exclusion that the mainstream institutions have never been able to reach due to not having a presence within the deprived areas. 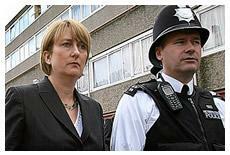 Over the agencies long 14 year history it has trained over 3,000 individuals into jobs and further education many of whom who would have remained on welfare benefits or worse fallen prey to bad elements within the deprived areas and pulled into a life of crime. The front line training agency that despite extreme financial strain has been quite vocal in its plight on the local radio stations and received press coverage in the local news papers such as the The Star. Where even the leader of Sheffield City Council, Paul Scriven has stepped in by commenting in the Sheffield Star Article. Council leader Paul Scriven said he was "perplexed" by VC Train's attitude. He said: "SPATC has given individuals real skills over many years and through them they have gone on to be active citizens in Sheffield. "SPATC employs professors from York and Manchester universities, so to say they are not qualified just doesn't stack up. 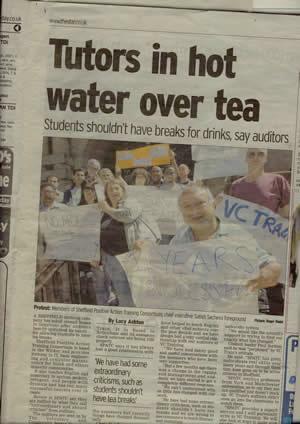 VC Train's auditors didn't even go into the classrooms to watch them. "SPATC provides a superb service and I will personally write to VC Training. We will also look at ways to make sure SPATC's excellent work continues." VC Train were unavailable for comment. Additionally SPAT-C's countless trainees have been giving their life stories in widespread radio coverage of how for years they were socially excluded until they found SPAT-C which helped to open their eyes to the endless possibilities of what can be achieved and more importantly put onto a path towards personal development and out of social exclusion. In the current climate of economic downturn with a panicking government attempting to make preparations for social outbursts of crime and disturbances, the last thing that the deprived wards of the country need is for the last vestibules of hope to be squeezed out of existence by bureaucratic paper pushing entities, many of whom have yet to set foot within a deprived inner city area that they proport to serve, that have clearly become a hindrance rather than an aid to the work of front line charities in getting young people and adults back into education and work. Instead of which we now have the top most echelons of government panicking as to what is about to transpire within many areas of Britain as the economic slump takes hold and individuals with no where to turn and little hope will increasingly make their frustrations apparent through direct action on the streets of Britain much as the country experienced during the early 1980's explosive outbursts and soaring crime rates. The government should be ensuring that its own funding agencies deal directly with the front line charities so as to ensure that social cohesion does not disintegrate. Unfortunately this is not going to happen as the number of loops that small charities are expected to jump through to deliver continues to escalate which only ensures that their will be a demand for paper pushing entities, whilst the inner cities literally start to explode with rage and frustration. The governments worst fears will start to become apparent next year as Britain awakens to a hot summer of social discontent along the lines of the deep dark days of the early 1980's when many areas of the country were in open rebellion against the state that had forgotten that they exist unless urgent action is taken we will be shifting through the burnt out debris amidst public inquiries as to what went wrong and why?